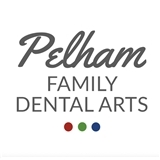 New York Family Dental Arts (Pelham) - Book Appointment Online! New York Family Dental Arts and Pelham Family Dental Arts combined state-of-the-art technology with sensitivity to patient needs to provide you with the best possible dental care. The highly experienced, board-certified doctors and friendly staff at our practices provide a full range of general, cosmetic and restorative dentistry services, from teeth whitening to veneers and dental implants. Dr. Alexander Vaiman & Dr. Irina Kessler offer comprehensive dental care, including BriteSmile® whitening, porcelain veneers, tooth-colored fillings, crowns, bridges, sealants and dental implants, as well as general dentistry services such as orthodontics (Invisalign), root canals, preventive care and treatment of gum disease and jaw disorders. With as little as one trip, you can start your journey towards a happier, healthier smile. The staff was very friendly and helpful. I got a good cleaning and a thorough exam. I will definitely be back for additional services.